Summer is lazily wafting its way into the UK, and very soon we'll be basking in blazing sunshine (we hope). Better still, there are plenty of thrifty ways to ensure your little ones enjoy the best of British weather while it lasts. The best thing about a good nature trail is that it can incorporate any number of summer activities. A brisk walk is one way to enjoy the countryside, but it's the perfect time to engage your child in the natural world, by cataloguing, drawing or simply noting what they see around them. Whether it's birds, deer or bugs in the undergrowth. You might even find yourself surprised at the natural wonders right under your nose. For long trips, National Trails offer unrivalled routes cutting across large sections of the UK. For local visits, Natural England and Visit Scotland list a vast array of options. 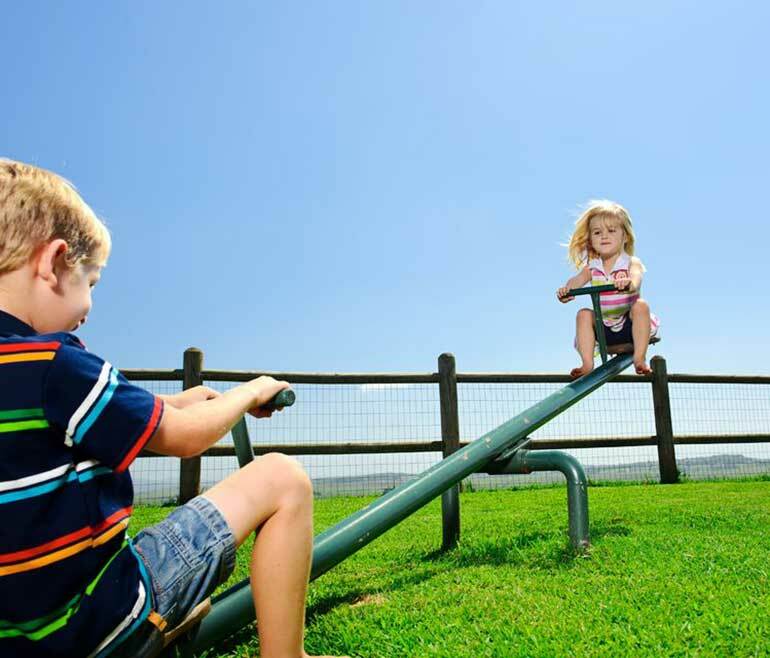 The playground in your local park is great for socialising and a run around, but an adventure playground is the place to be for some serious summer fun. While some can be expensive, the UK is also home to a wide range of free attractions. Local authority websites usually list council-run playgrounds, and a quick search on local directories should show up more local amenities. If you want some inspiration before you get searching, check out the top 10 free adventure playgrounds as listed by the Sport and Recreation alliance. It might be associated with corny father/son bonding sessions and elderly gentlemen dozing in the sun, but fishing can be a fun family activity, too. Older children will be able to learn about the technical nuances of the rod and tackle, while younger children can pick up their net, don their wellies (or roll up their trousers) and wade into your nearest lake, river or stream in order to fish out the bugs and beasties that dwell within. Those lucky enough to live close to the coast could also opt for crab fishing from the pier, or rock pooling on the beach. A staple across the country, towns and villages resolutely refuse to give up on the glories of bunting, fruit and veg shows and displays from the local dog trainers. You may need to consult your budgeting software before you decide whether you can dig into the cake and bric-a-brac stalls, but there are always events, displays and social opportunities to keep everyone occupied during the festivities. Village fetes are usually listed in the local press, so search your local paper for your nearest event. Alternatively, you could try searching listings on parenting sites like netmums or What to do with the Kids. If the children are sporty, and you have a wide network of fellow parents, why not designate a time and place for a weekly or monthly games meetup? Rounders is a popular choice for older children, while sports like football and frisbee make easy, healthy choices for most age groups. You could even mix it up Scouts style with game mashups like crocker. Whichever activity you choose, be sure not to forget the picnic or barbecue to enjoy a real British summer atmosphere.